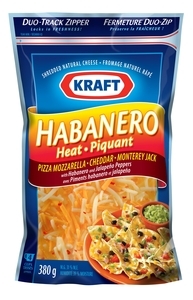 Find this hidden Save.ca coupon on Kraft Canada’s website. You can save $1 on Kraft Shredded Cheese. This is a mailable coupon. Once you get to the Save.ca homepage you click on ‘Mail’, scroll down to the bottom of the page where you can ‘Get My Coupons’. After you create your account, you can have this Kraft Shredded Cheese coupon mailed to your mailing address. Click here to go to the hidden Save.ca Kraft page.